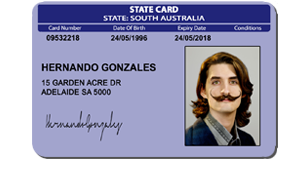 For just $69 this is our novelty ‘Fake ID’ South Australian Fake ID – Adelaide customers especially love this one. This is the most popular card with our South Australian customers. BUT – you don’t have to live in Adelaide to get one! This SA card is a double sided print, and this fake novelty card has a hologram covering the front of the card, and the back of the card. Pick any name, photo and DOB for this SA card! 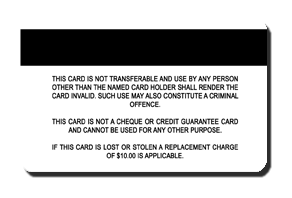 The measurements of this South Australian card are 3.375 inches x 2.125 inches and 30 mils thick – the exact same as what your credit/debit card is for comparison. This card can reach you in as little as 4 days!